This is a die-cut Rogers Paints and Varnishes porcelain sign. This particular Rogers Paints and Varnishes sign is predominantly blue and yellow with white text. 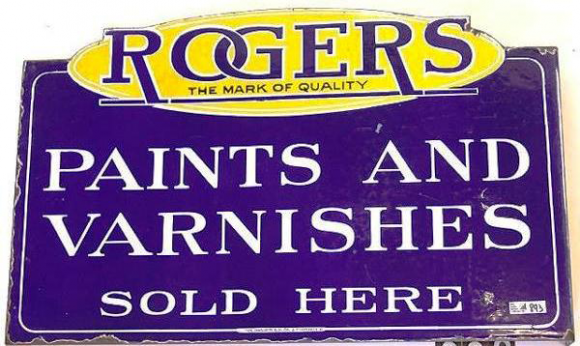 It reads, “Rogers, The Mark of Quality, Paints and Varnishes, Sold Here” and features a yellow oval at the top of the sign.